non-core activities so that they can focus on their core business,” says Kumar Mayank, Founder and Product Owner at Zimyo.
" 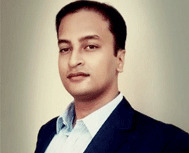 The platform has been scrupulously engineered to assure a hassle-free Employment Management and Salary management for organizations in the SME sector"
Still in its nascent stage, the highly skilled team at Zimyo led by Kumar Mayank and Ajay Kadyan combined their industry -rich expertise and advanced technologies to design and develop Zimyo’s Free HRMS solution. The platform has been scrupulously engineered to assure a hassle-free Employment Management and Salary management for organizations in the SME sector. “At Zimyo, we make sure that our solutions are as simple as operating basic programs, yet as intuitively designed to amalgamate any Product integration as needed,” adds Kumar. While most HRMS are too generic and lack the customization to meet every client’s unique requirement, the Zimyo HRMS encompasses the Employee Self Service(ESS) module where every employee has complete access to their own information and can update their information as and when required. The feature-rich product permits employees to view how much time they have remaining on their leave or request one through the software sans the intervention of a manager. Additionally, it proffers the ability to review and print pay slips and certificates as well. Focused on emerging among the top leaders of this domain, Zimyo ceaselessly endeavors to continue bringing in new and easy-to-use products. Recruitmentix to breakdown recruitment hurdles, Performances - a performance management solution to track employee conduct, a cutting-edge productivity tool to help teams work together more efficiently and a host of innovative products are scheduled to permeate the market in the near future by Zimyo.